The GC Showcase is a first of its kind – bringing together two unique industries that provides a forum for collaboration and innovation and offers the opportunity for exhibitors to showcase their business and services to the local business community and the creative community while establishing lasting connections. Attendees will hear from various keynote speakers who will share valuable tips and advice which is able to be implemented into everyday business life. The event will be held on the first level of the Surfers Paradise Marriott Resort & Spa including the grand ballroom. Entry to the GC Showcase as an attendee is free of charge, as are the guest speaker presentations, excluding the special paid luncheon with The Honourable Tony Abbott MP, former Prime Minister. To secure your place, register your attendance HERE for each of the presentations in advance. A separate luncheon will be held in an adjacent function room with special keynote speaker, The Honourable Tony Abbott MP, former Prime Minister. Karen Clarke is the author of From Bullied to Brilliant and a confidence and performance coach who helps adults and children develop resilience and reach their potential. Karen has a deep understanding of bullying and social isolation from her insight as a professional coach, profound personal experiences of bullying and life as an expatriate in francophone West Africa. As the mother of three children, and one of seven herself, she also understands the pressures families face when bullying becomes an issue. As a teenager growing up in an increasingly volatile Cote D’Ivoire, Karen’s experience living in an unstable and hostile environment including being robbed at gunpoint had a deep and lasting effect. The prevalence of violence, bullying, intolerance, conflict and increase in global terrorist activity clearly demonstrates the need for us to bring about effective and lasting change. Karen’s book helps individuals build resilience and learn how to overcome these challenges. Karen has appeared as a speaker and chairperson at the No2Bullying Conference in 2015 and 2016 and regularly delivers talks and presentations to schools and groups. She has also been interviewed by Dubai Eye 1038 Radio, 7 Local News Sunshine Coast, ABC Radio, Hot 91.1FM amongst others and published in several newspapers. Karen’s bullying material is a key resource for PEMSoft’s ‘Evidence-Based Clinical Pediatric Information’ and is available through their website. From Bullied to Brilliant is the result of Karen’s 20-year journey of personal discovery and professional research to find a solution to feeling bullied, helpless and intimidated. 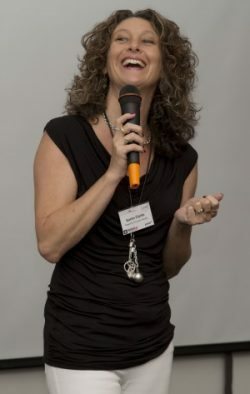 Karen’s advice and techniques allow adults, teenagers and educators to understand how a change in thinking and perception can end the bully-victim cycle. The world is full of questions, perhaps our answers lie within.